Sign your girls up for gymnastics! Our girls gymnastics classes may be the solution to your little one who is filled with energy and is constantly on the move! At a young age, many children begin to show levels of athleticism, that if nurtured can create lifelong champions. Our little ones many times are filled with energy, running for fun, climbing and tumbling on everything in sight, and we absolutely love this! In fact, we want to help nurture your child to develop athletic skills at a young age. Gym 1 Girls Gymnastics - When Can We Enroll? At 6 years of age, you can enroll your child in our Gym 1 Girls Gymnastics class. In this program, your little gymnast will be taught the basics and step-by-step progressions. We aim not only to teach basic, fundamental gymnastics skills but also to instill life skills. In fact, gymnastics can help teach your child responsibility, dedication, teamwork, social skills, decision making, goal setting, and independence (just to name a few!). Not only will gymnastics instill lifelong skills, but we will also focus on helping your child develop their basic motor skills, coordination, and balance. 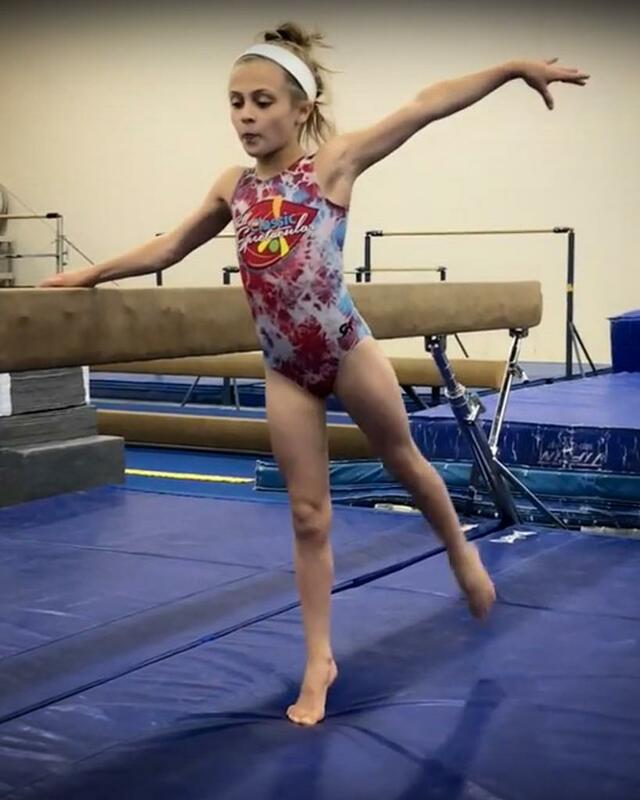 There are certainly a plethora of activities that you could choose to enroll your child in, but gymnastics has been proven to set your child up for success in any athletic activity they choose to pursue in the future. Why? Gymnastics can help teach children body awareness, focus, build strength, and increase flexibility. All of which are fundamental necessities for any sport/activity. This makes gymnastics the perfect foundation and cross-training activity for all young athletes. In Gym 1 gymnastics you can expect an 8:1 student-coach ratio - meaning your child will get plenty of one-on-one attention. Our coaches are continuously evaluating students as they learn new skills, and copies of their skill cards are sent home every two months. There is an Spring Show each year in May where the gymnasts are able to perform for their family and friends. Whether you have more questions about Gym 1 gymnastics, additional levels, or other programs, please reach out to us! We’d love to chat - give us a call 763-413-0647.